(Report/Review by Russell and Tony). Audience numbers in Darlington continue to hold up. At Darlington Jazz Club’s recent gig at the Quakerhouse (Darlington's CAMRA Pub of the Year), there was another full house to welcome a returning local hero. Pianist Rick Laughlin, having recently left London to return to his roots, put together a quartet to play a few standards. 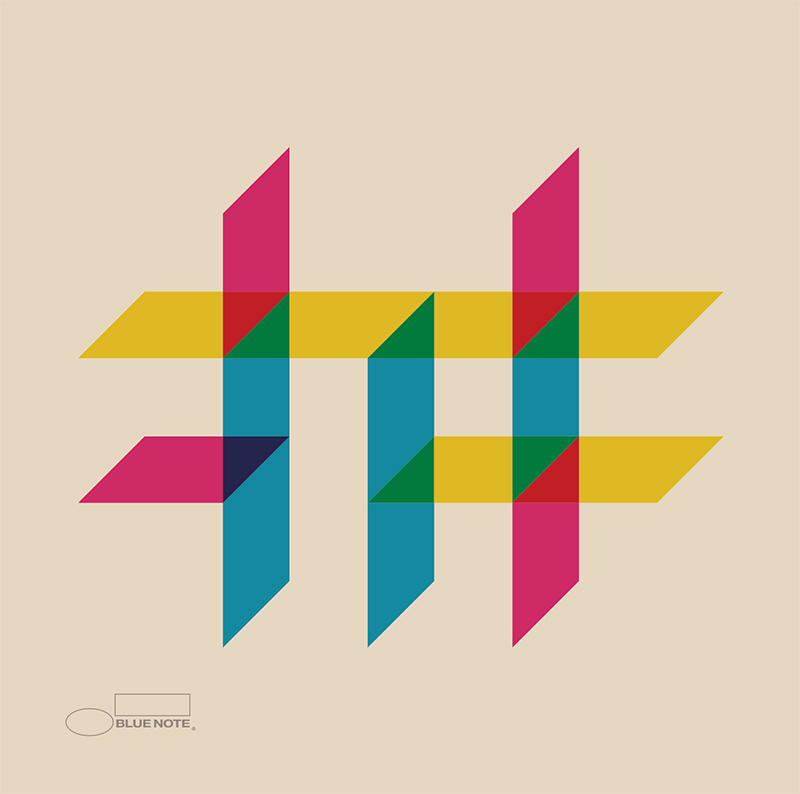 Tony Eales reports Laughlin coaxed a variety of sounds from his keyboard. The gig saw Alan Thompson showing off his shiny new saxophone and Anth Ord (bass) travelled up the A1 from his Yorkshire base to work alongside drummer Ian Halford. The varied pad (Bill Evans, Dexter Gordon, Grover Washington) made for an entertaining early evening set. 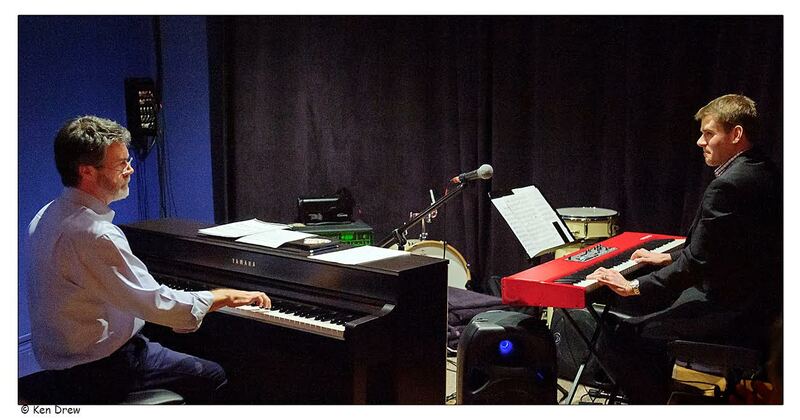 Darlington Jazz Club’s next concert at the Quakerhouse features pianist Paul Edis on Sunday, March 13. Jonny Dunn (trumpet and flugel) will be one of the several guests. Arrive in good time for the six o’clock start. Recommended. What enables Mike Durham's Classic Jazz Party to stand apart, and in many cases, above the rest, is the theming of each set. No easy task when programming 3 days of sessions that vary from 25 to 50 minutes. Incredibly, each year they manage it and this delightful disc a typical example of one of those imaginative scenarios. 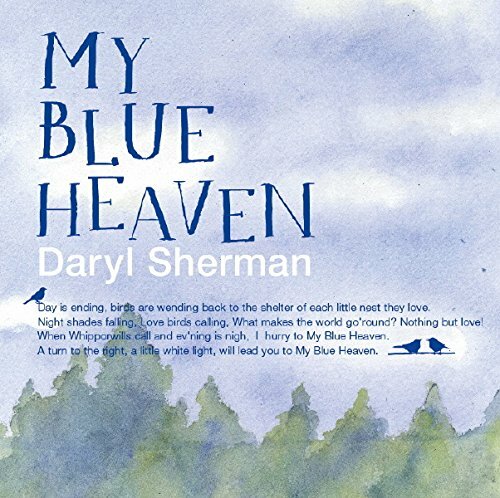 David Tughan (vocal and electronics), Ian Shaw (vocal and piano), Claire Martin (vocal), Sarah Gillespie (vocal and guitar), Sarah Jane Morris (vocal). On the one hand, it's the sheer enormity of the numbers that defies belief. A country like Lebanon with a population of 5 million people having over a million extra refugees within its borders; the hundreds of thousands of refugees arriving on small Greek islands after perilous boat journeys; Germany taking in a million refugees. Then, on the other hand, there is the apparent inability (to put it as kindly as possible) of the UK and France to deal with the tiny number of refugees living in appalling conditions in temporary camps in Calais and Dunkirk. In order not to offend the political neutrality of the BSH blog let me not comment on why this situation exists but just say that it is very hard not to be affected by the reports and pictures coming from the French ports. including Duke, Miller, Satchmo, Astaire and Monty Sunshine among others. Here's the link to today's episode. 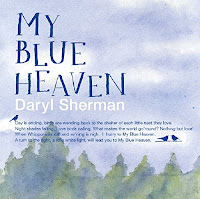 CD Review: Daryl Sherman - My Blue Heaven. 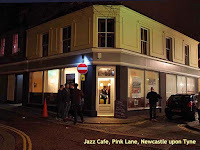 Six years on, I still relish the memory of hearing Daryl, first at the Saville Exchange, North Shields and, the following evening, at Trinity Centre, Gosforth - two venues now, sadly, lost to jazz. Since then, I've followed her career avidly. The lady travels. Apart from touching down at Sage Gateshead in 2012 with Carrying Cole to Newcastle and Mike's Classic Jazz Party in 2014, for the past three years, Japan has played a major part in her itinerary. 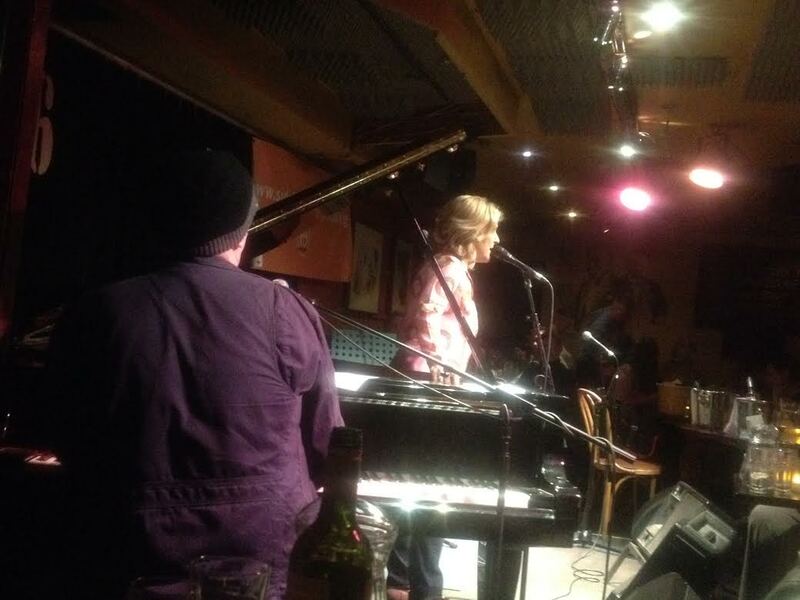 This year she's back again playing the Tableaux Lounge, Daikanyama, Tokyo throughout March, April and May. Pete Tanton (tpt/flug); Mark Williams (gtr); Paul Grainger (bs); Russ Morgan (dms). A rare appearance by the newly titled Riviera Quartet drew a goodly throng to Pink Lane and they weren't disappointed. It was a special treat to hear the American trumpet/flugel horn player soloing at length as opposed to the shorter blasts he's allotted with SSBB. Flowing, lyrical lines; melodic, but with a cutting edge. On guitar, Williams was in overdrive. Woodstock revisited. Hendrix, Clapton, Metheny - Mark peddles excitement - or should that be pedals? Nova Scotian George MacDonald played the Great American Songbook with friends James Birkett and Bruce Rollo. 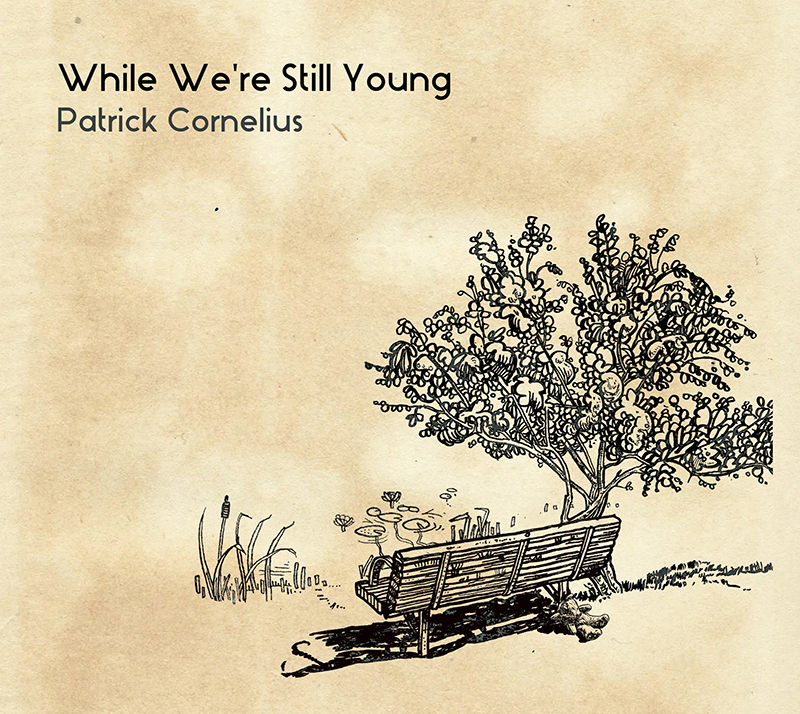 Brought up on Benny Goodman and Artie Shaw, the genial ex-pat Canadian conveyed his love of the music, recalling his early childhood listening to his parents’ radio – the days of dance halls, a boy dancing with a girl, the coast to coast live radio broadcasts of the star names of the era. Matt Ridley (bass); Jason Yarde (soprano); John Turville (piano); George Hart (drums). 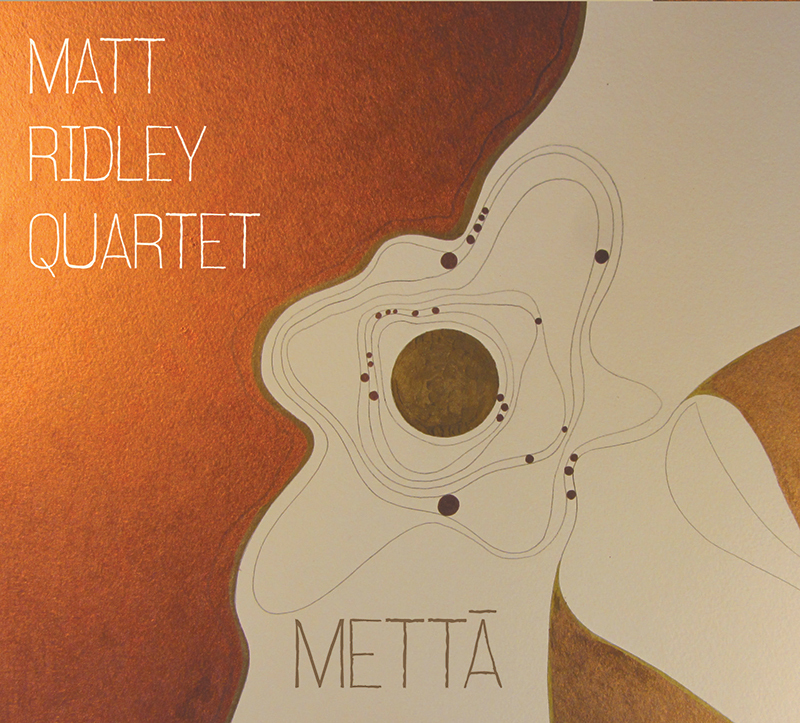 Following up his debut release on Whirlwind (Thymos, 2013), his new album Mettã – a title and concept referencing themes of benevolence and goodwill – finds him progressing his shared creativity again with his quartet of pianist John Turville, drummer George Hart, and soprano saxophonist Jason Yarde, who appears here in a fuller, more centrally melodic role. 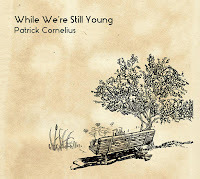 Captured within a single day, this is a studio recording brimming with passion and spontaneity. 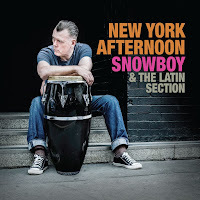 SNOWBOY celebrates his 30th anniversary, since his debut single in 1985, with his 16th album NEW YORK AFTERNOON'. 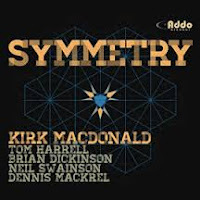 Snowboy (conguero) Sid Gauld (Trumpet), Paul Taylor (Trombone), Neil Angilley (Hammond B3 and Fender Rhodes), Nico Gomez (Bass), Davide Giovannini (Drums, Timbales and Vocals) and Dave Pattman (Bongos) + Marc Evans. One of Europe’s finest percussionists and Congueros, Snowboy. 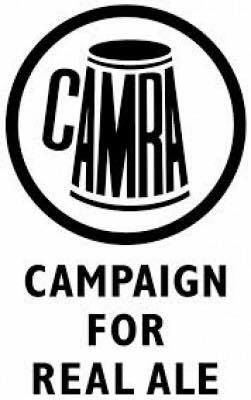 has recorded or performed percussion with artists such as Lisa Stansfield, JTQ, Mark Ronson, Amy Winehouse, Deodato, Jon Lucien, Big John Patton, Airto Moreira, Herman Olivera and many, many more. 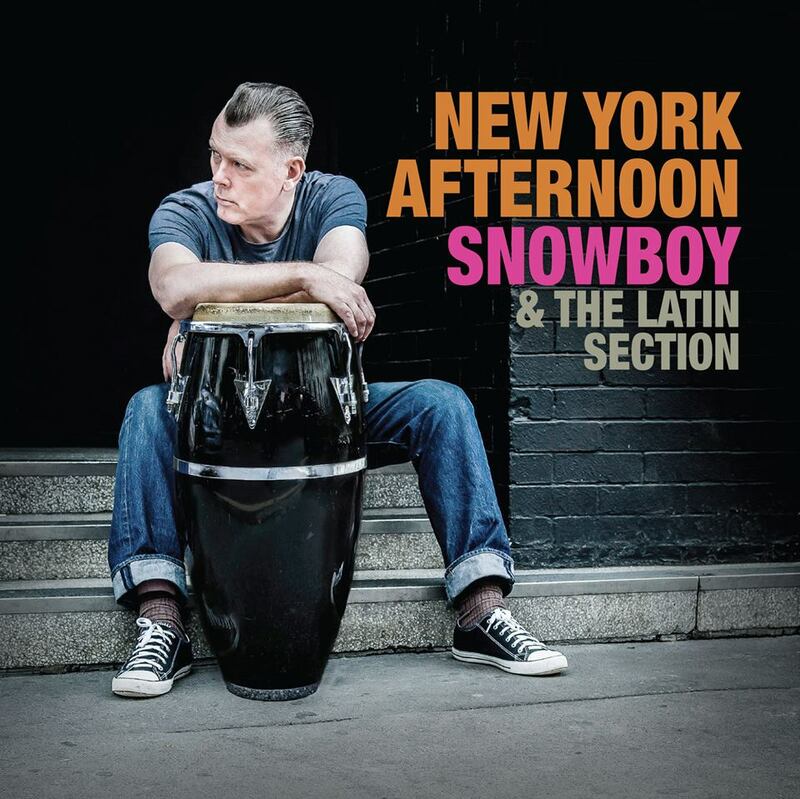 More importantly, Snowboy is also the leader of Europe's leading Afro-Cuban Jazz group, Snowboy & The Latin Section, featuring the UK's most exciting and pyrotechnical jazz and Latin players: . 'New York Afternoon' features every one of them as always. But that's not all, Snowboy is also an in-demand DJ and a regular at the likes of the South London Soul Train’s bi-monthly sessions. This free concert came out of the blue and provided me with a welcome opportunity to escape house-painting for an hour or so! Coffee and an excellent sandwich at the Concourse café then sit back for thirty minutes or so of top-class jazz served up by two top-class players. The “mini-set” kicked off with Days of Wine and Roses then kicked on with Wes Montgomery’s West Coast Blues – an apt choice to showcase some fine guitar work. He was a prolific author and an equally prolific mainstream trumpet player who stood, head held high, alongside Humph and Digby in that genre. But it is with Melly where I think his musical legacy has been cemented. Together they were joined at the hip musically even more so than Melly and Mick Mulligan were in the former's younger days. The photo is one I took at a Melly concert in the late '70s/early'80s. May he rest in peace in the knowledge that he will be sadly missed by the jazz fraternity. Starting this Sunday on RTHK Radio 3, our man in Hong Kong, Colin Aitchison, will be presenting a radio show for 12 weeks - Vintage Chart Toppers. 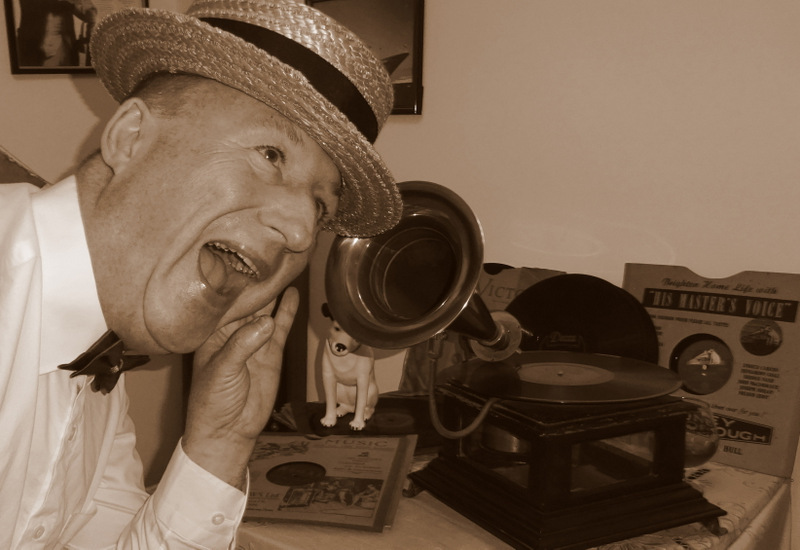 It will feature records that were among the top selling discs of the 1920's through to the 1950's. Colin tells me that they have asked him to make it a little fun with stories about the recordings. He also plans to play some long forgotten discs. The show will last 30 mins and goes out at 8-30am in the morning Hong Kong time, which is, by my reckoning, 30 minutes past midnight in the UK. Each week Colin will post a link for anyone who'd like to tune in. 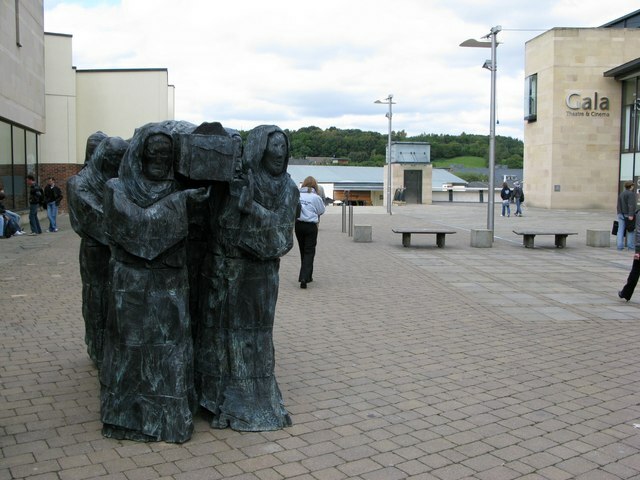 This specially commissioned composition, composed by Durham-born musician Paul Edis, is a musical account of the life of St. Cuthbert. Drawing upon influences from jazz, folk and classical music it will be performed by some of the finest musicians in the North East on Friday, March 18 at Ushaw College, and then at Durham Cathedral on Saturday, March 19. 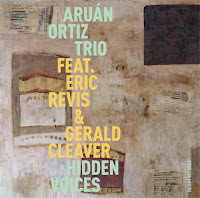 The current upsurge in Latin-based jazz is understandable - infectious rhythms, no pet shop fires and a groove that get's across to the non-jazz listener as well as those who have been into it since the days of Kenton, Gillespie, Machito and, in the UK, Kenny Graham and his Afro-Cubists. 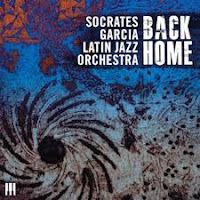 This album continues that tradition combining, as it does, contemporary jazz big band with the Caribbean colours of Garcia's Dominican Republic. PS: And if this is your bag then get along to the Jazz Café on Thursday where the Havana Club 5 host Descarga! Which is a Cuban jam session. 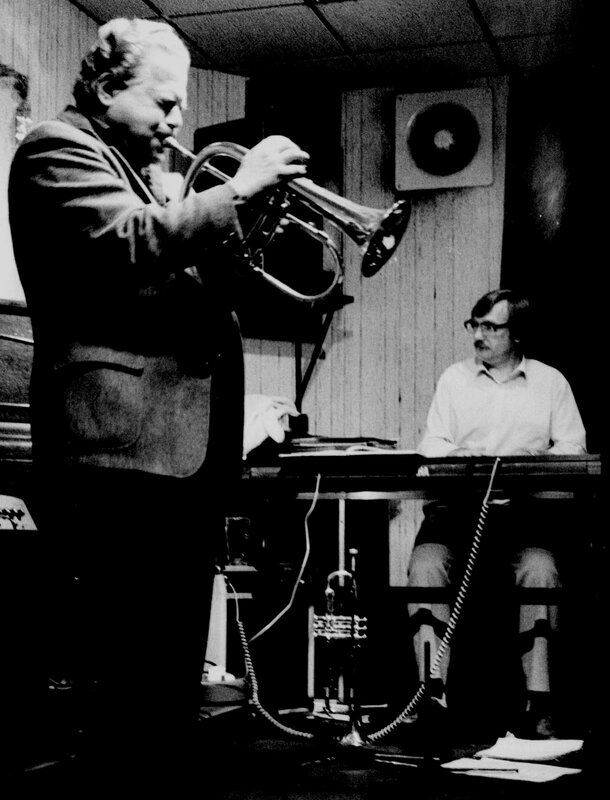 Dave Gelly: Stan Getz - Nobody Else But Me. I'm re-reading Dave Gelly's superb 2002 biography of Stan Getz Nobody Else But Me. How well he brings the man and his music to life! As indeed he should, Gelly being no mean tenor player himself. He's right into the man even more so than a Getzian devotee like myself could ever be. Putting the book down to pour myself a cup of tea, or something stronger, I looked at the pile of CDs awaiting review. Did I listen to some band from Finland, Lapland or Toyland playing their own compositions or did I continue reading and play some Getz? No contest! There's never been a greater set of ballad performances to compare with Getz's 1950/52 recordings. Later, of course, came the more ambitious projects, the bossa albums, the strings, the organ trio but, these, for me, rubber stamped his place in jazz history. Tomorrow it's 'back on your heads lads'... However, in the meantime, Stan's blowing Thanks For the Memory... I'll sleep well tonight! Or maybe I won't - memories can bring on insomnia. Still. if it does, I've got a good book to read and some wonderful music to listen to! Kathryn Lowdon (vcl); James Harrison (keys); Paul Gowland (saxes); David Gray (tmb); Elliot Todd (tpt); Katy Trigger (bs gtr); Steve Doyle (dms); Jasmin Storey (backing vcls). A curate's egg - the highs were high, very high, - the lows were somewhat less. Lowdon has an amazing range. Those of us old enough to remember Yma Sumac (and I may be the only one) will recall the Peruvian songstress' ability to span 5 octaves. Lowdon works in that dimension! When she hits it, it's game, set, and match. When she doesn't it's 0-6, 0-6..
Tonight it was mainly the former, although there were a few tiebreakers! However, bearing in mind that this was the band's first ever live gig, it was an impressive performance and the dancers who eventually took to the floor appreciated the opportunity to shake a leg or three! 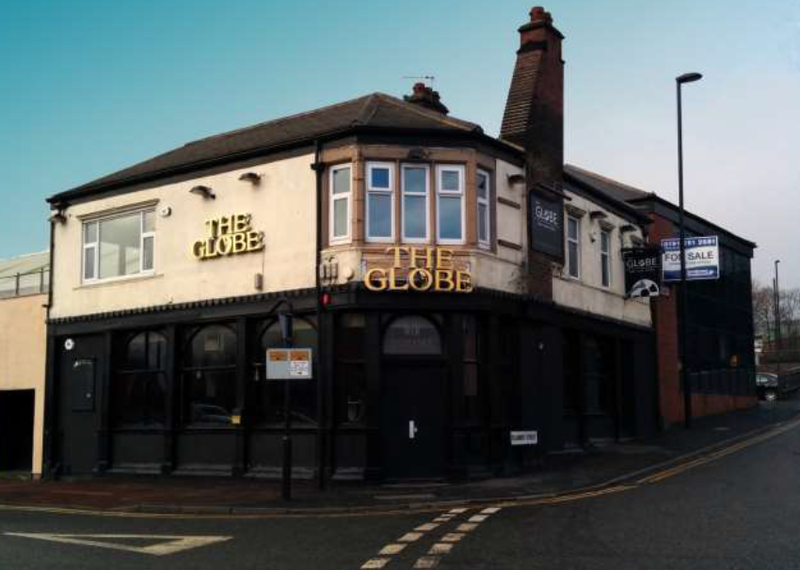 A first For The Globe – Clog Dancing! If you’ve never seen clog dancing before, you should have been at the Globe last night to witness the wonderful Grace Smith of folk band The Lindie Quartet strutting her stuff. Clog dancing is performed on a wooden board, involving tricky complex steps and a few kicks. An important part of the performance is the percussive, rhythmical sound of the clogs on wood. This dancing was a forerunner of the tap dancing that you see done in Singin’ In The Rain. Brilliant stuff! Wish I had a photo. (Review by Russell/photo by Lance from archives). Together again at the Jazz Café, Noel Dennis and Dean Stockdale played a superlative set of standards. 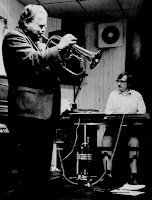 Autumn Leaves, Love for Sale (Noel Dennis straight at it with ideas flowing) and Beautiful Love (Dennis on flugelhorn). Dean Stockdale coaxed a tune out of an ailing upright. Two top flight musicians in top gear. Quite a start! 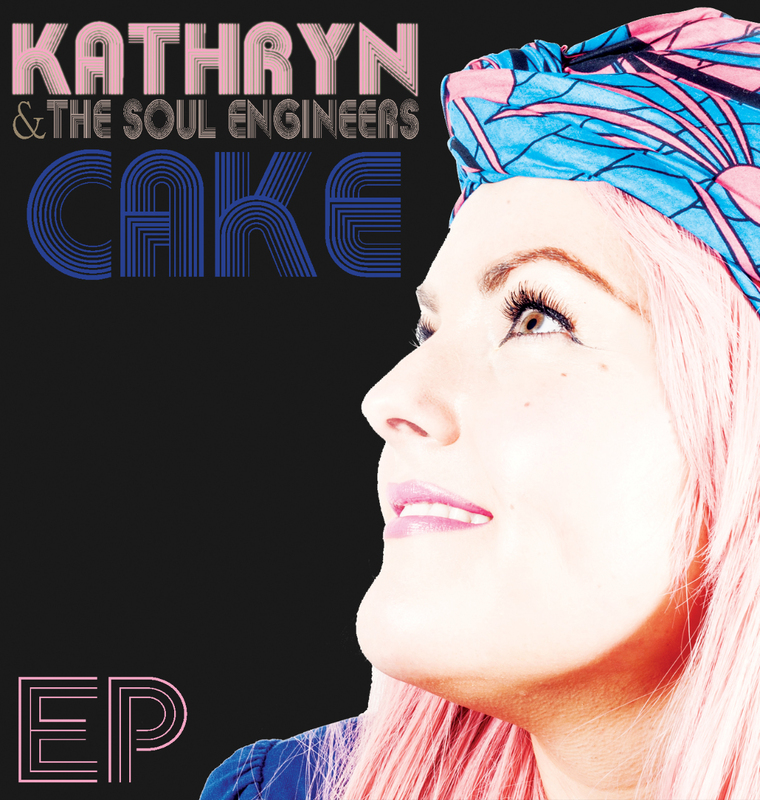 This afternoon at Hoochie Coochie, Kathryn Lowden launches her debut EP - Cake, Backed by the Soul Engineers it promises to be a stompingly good afternoon. 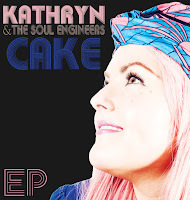 The rusty barbed wire vocals of Lowdon coupled with the funky grooves of James Harrison on piano, Paul Gowland, sax, Katy Trigger, bass guitar and Stevie Doyle on drums is a recipe for a very tasty slice of cake. Doors are at 4pm with the musical confectionary served on stage at 5:30pm. Kirk MacDonald (ten); Tom Harrell (tpt/flug); Brian Dickinson (pno); Neil Swainson (bs); Dennis Mackrel (dms). Some review copies land on the doormat and are opened with trepidation. A feeling frequently confirmed upon hearing the opening track. Trepidation then gives way to procrastination and I say mañyana which, as we know, never comes in any language. 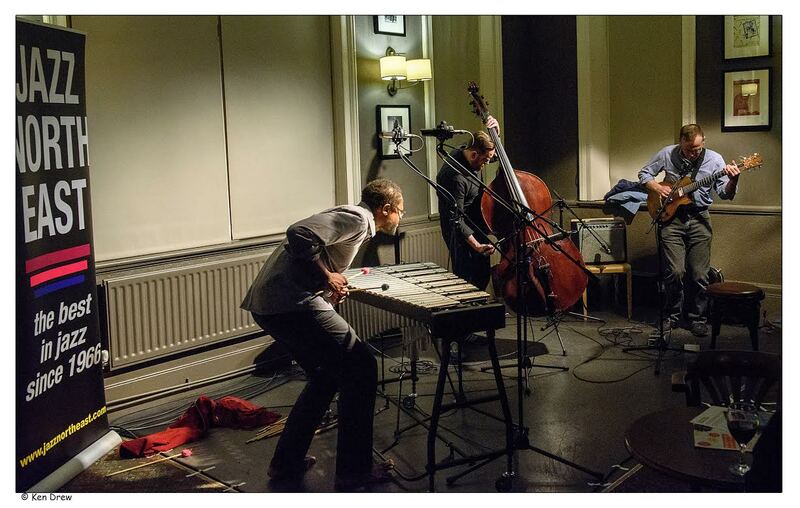 Alexander Bone returns to the region in March to play two gigs with his Royal Academy of Music student friends at the Jazz Café, Newcastle and the Traveller’s Rest, Darlington. 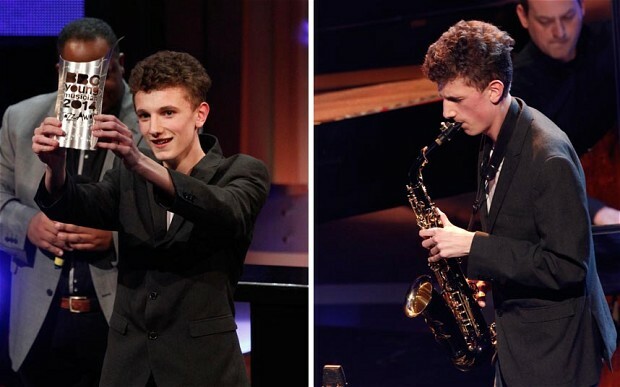 The former pupil of Barnard Castle School won the inaugural BBC Young Jazz Musician of the Year award in 2014 and went on to study at Chetham’s School of Music before his move to the capital to continue his studies. 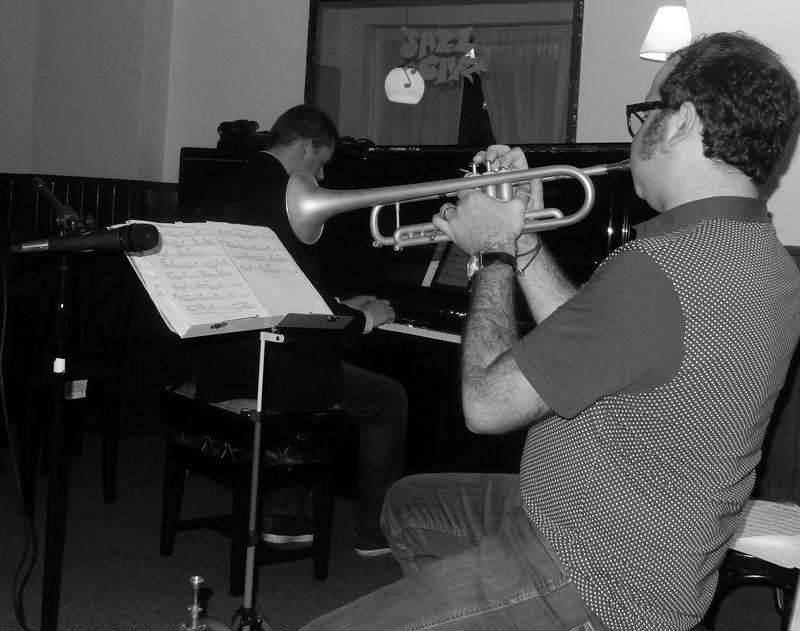 Friday night in Darlington at the Traveller’s Rest reunited two pianists for a four hander at Opus 4 Jazz Club’s monthly session. Dave Newton made the journey north to link up once again with one of the north east’s finest pianists, Dean Stockdale. The duo last got together in March of last year to play a gig at the Jazz Co-op’s Globe HQ in Newcastle (pictured). Unsurprisingly this rematch attracted a full house in Darlington. Michael Lamb sent me the following info on Sunday's workshop and gig at the Globe. 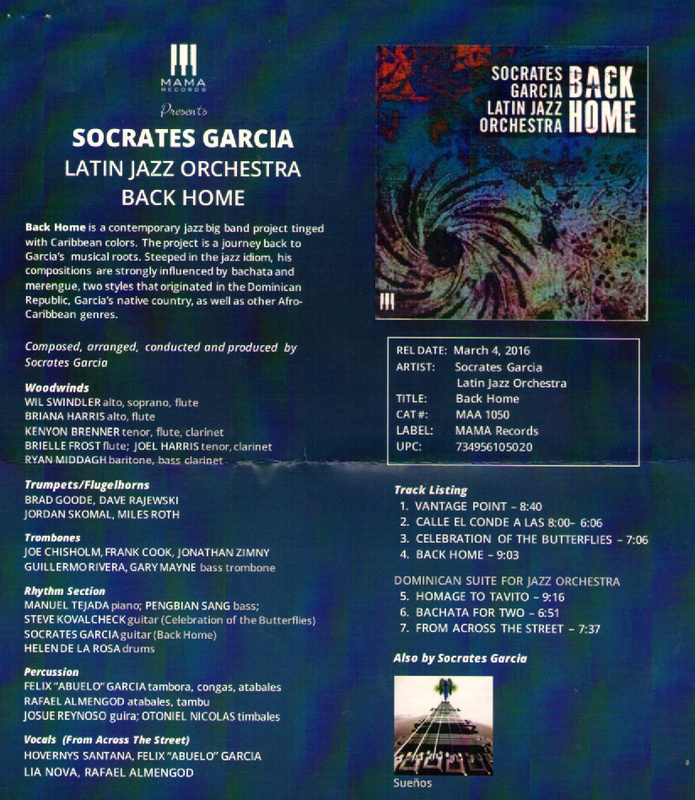 "This gig focuses on contemporary big band music. 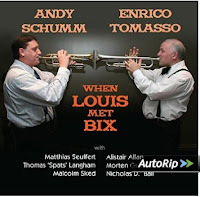 Composers and arrangers such as John Fedchock, Tom Kubis, Callum Au, Adam Bartczak, Chris Walden, Bob Mintzer, Jesper Riis, Tom Garling and plenty more will all be featured. 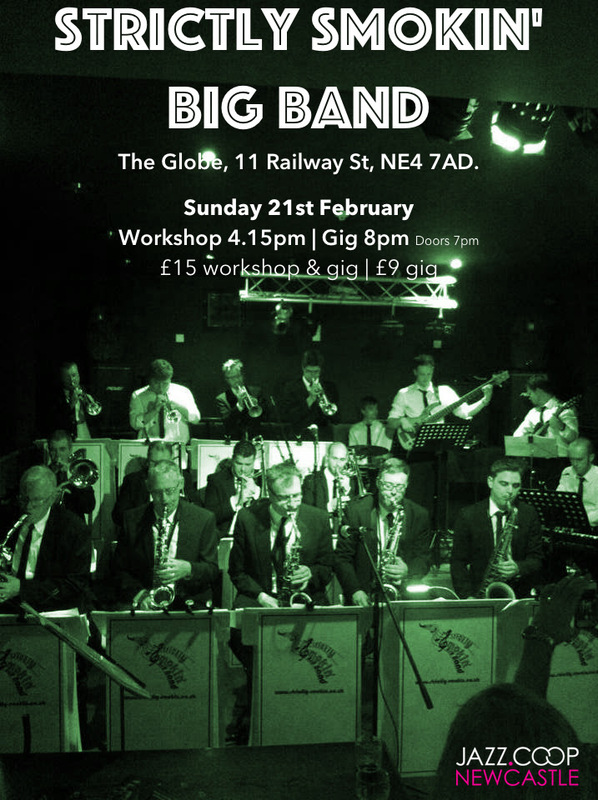 We're running a workshop beforehand focusing on ensemble and section playing in a big band. Those taking part will get to perform with the band on the gig." Patrick Cornelius (alt/sop/fl/comp)​​; Jason Palmer​ (tpt); John Ellis​ (ten/bs clt); Nick Vayenas​ (tmb); Miles Okazaki​ (gtr); Gerald Clayton​ (pno); Peter Slavov​ (bs); Kendrick Scott​ (dms). Inspired by the poetry from When We Were Very Young, by A.A. Milne. While I love this album, because of the backlog of CDs piling up, time and tide etc., I'm going to cop out and direct you to the Press Release. However, this isn't really a cop out as I concur with everything they've written. 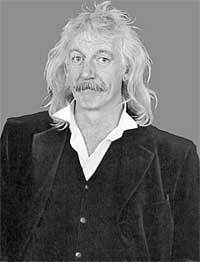 The death was announced today of pianist, composer, comedian, actor, Brendan Healy. The north-east legend died last night (Feb. 18) after losing his battle with cancer. Although not a jazz musician - rock and folk were his favoured genres - he was, nevertheless, respected by players across the spectrum and acknowledged as a composer who wrote soundtracks for many films and TV series as well as acting in some of them. This was a top drawer performance which would be worthy of an appearance at any festival, so we were very privileged to have the band at the Globe. Ruth sang numbers from the Gasbook expressively, every single word was clear, her voice was a delight to hear, and in fact her singing was a masterclass for all aspiring singers. The instrumentalists played so well and looked as if they were enjoying themselves immensely. This isn't a review, just a shot of last night's tremendous Jazz Coop gig at the Globe by Ruth Lambert and the One Trio (don't ask me!) I've never heard Ruth in better voice and the trio were also up for it. Review by Ann Alex to follow. 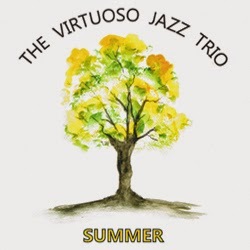 A rather special night at The Globe tonight when, semi-quoting from the Jazz Coop website,"The jazz songstress Ruth Lambert teams up with the One Trio, to provide an intimate evening of impeccably sung, beautifully accompanied jazz." I'm not sure of the significance of the One Trio name but with a line-up of Alan Law (piano); Paul Grainger (bass) and Russ Morgan (drums) we can be assured that Ms Lambert will receive the support her voice deserves. 7:30pm and a fiver at the door makes this worth hopping on the 22 or 12A bus. Q: If our [Bebop Spoken Here] memory serves, Echoes started out as a tabloid-sized newspaper with the reader ending up with messy fingers from the news print! Tell me about it! I bought the very first copy as a spotty teenager [and soul fan] up in York, and have had filthy fingers ever since. Actually, I’ve been up in the loft this past month… er, I mean, sifting through the extensive Echoes archive, and the memories [of grubby finger-ends] came flooding back. 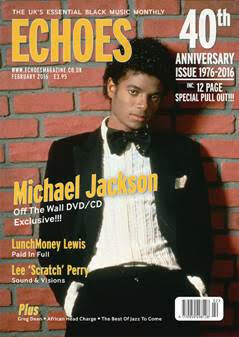 But we’ve been a glossy monthly since 2000 and, of course, we have a lovely website: echoesmagazine.co.uk, now. Very modern. It had the makings of a quiet night. The house trio opened with a few tunes, Mr Williams in for Mr Gilligan. There is no Greater Love the pick of the early numbers. Punters were thin on the ground. Things could only get better. That said, the jazz was top drawer. 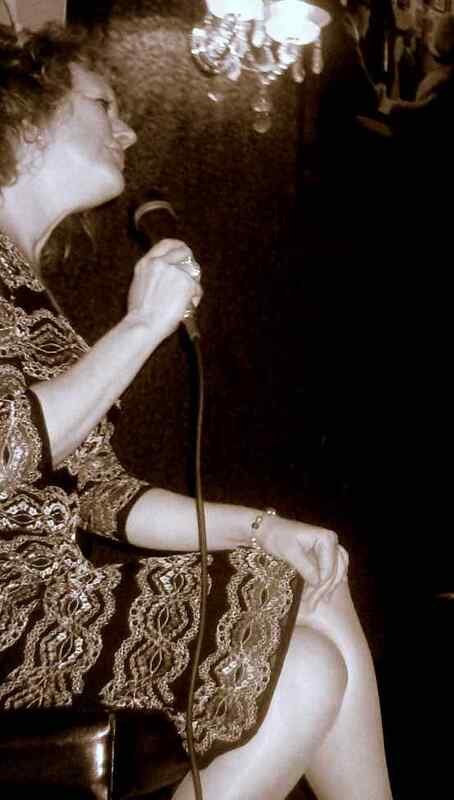 New Jersey native Mary Foster Conklin has appeared in theatres, jazz clubs and cabarets in the New York area and throughout the USA and Canada. Photographs, her fourth CD, is the culmination of more than 30 years of performing. Each tune is said to be a musical snapshot of where she is as an artist today. The tunes include 5 songs from the legendary Fran Landesman, with their slightly bitter yet tender lyrics and lesser performed songs such as Autumn Serenade. For an update on what's happening at The [not so] Empty Shop venue in Durham City check it out here. 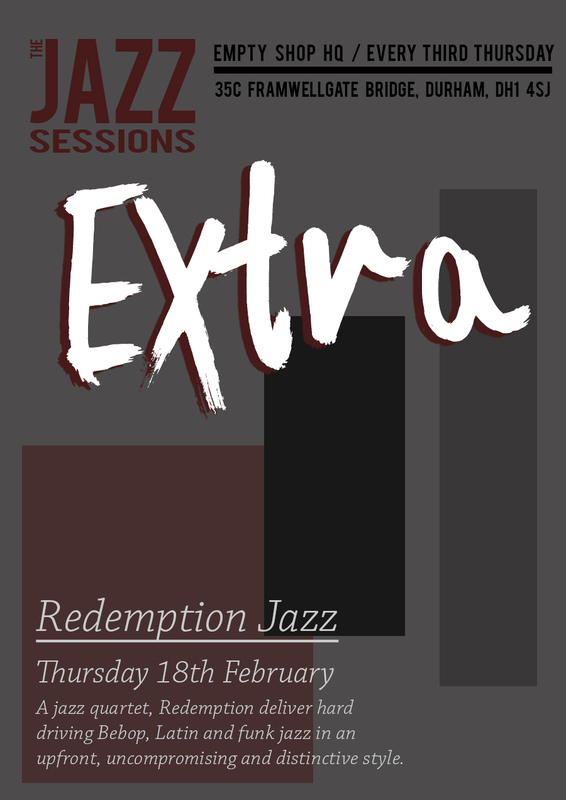 Next one is on Thursday, Feb. 18, with Redemption Jazz - the only band in the world (as far as I know) to have dedicated a number to me! Fantastic band! Our man in Darlington reports a large turn-out for Abbie Finn’s homecoming with Leeds College of Music band Equinox. 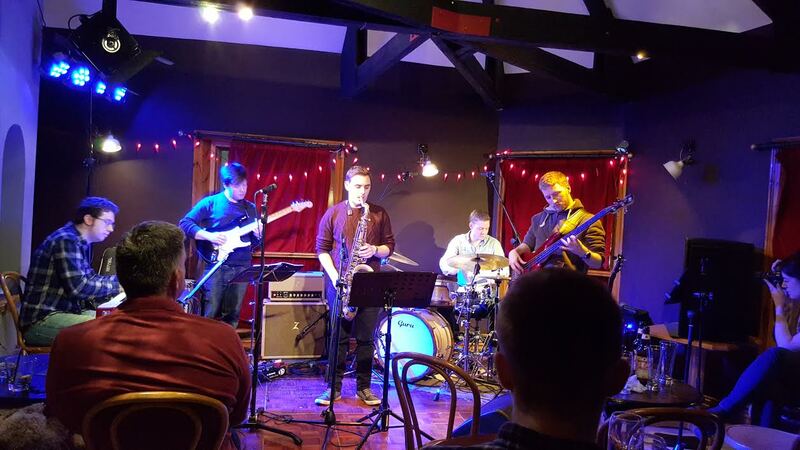 The former Durham County Youth Big Band drummer, no stranger to Darlington Jazz Club, played a set of standards in the company of student friends Jake Rider (alto), Sam Lowther (guitar) and bassist Manraj Lall. Tony Eales reckons guitarist Sam Lowther caught the eye, or should that be ear? This gig at the Quakerhouse was a first for the quartet. By all accounts it won’t be their last. Catch Equinox next time they’re on the road. 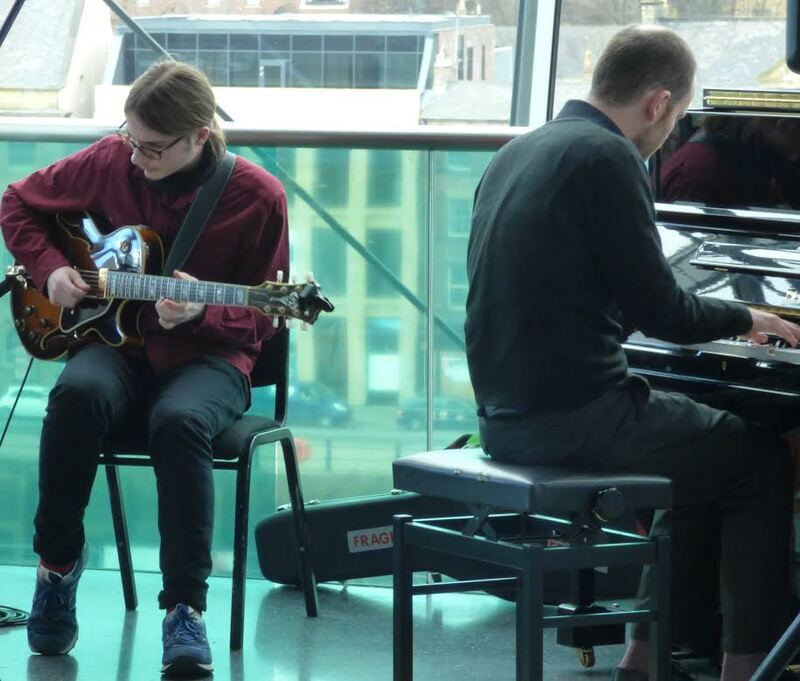 Jazz North East are proud to be supporting The National Youth Jazz Collective this year in hosting their open auditions on Friday 8th April at The Literary and Philosophical Society in Newcastle Upon Tyne. The auditions are for ages 14 - 18 year olds and the deadline for application forms for auditions is Friday 19th February. This is a great opportunity for aspiring young musicians to engage with some leading tutors including NYJC’s Founding Artistic Director Issie Barratt, Dominic Ashworth, Christine Jensen, Laura Jurd, Mark Lockheart, Gareth Lockrane, Mark Mondesir, Liam Noble, Jeremy Price and Percy Pursglove. 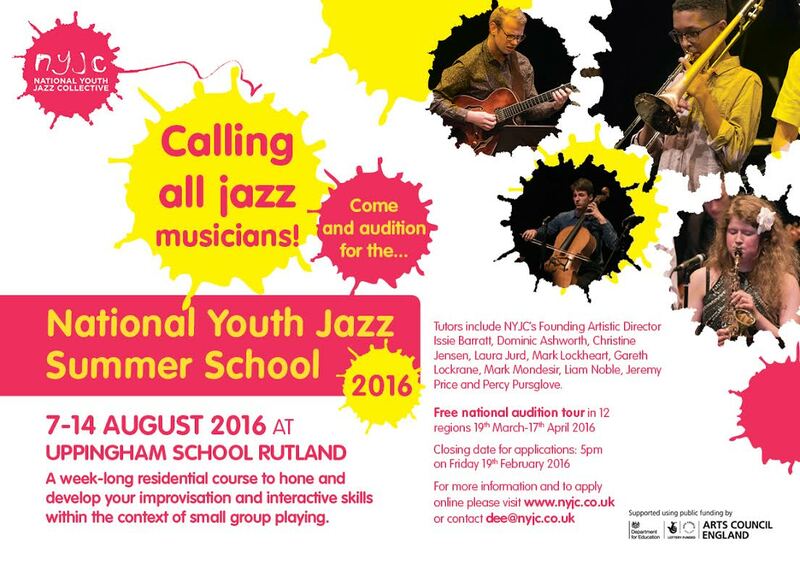 You can find full details at www.nationalyouthjazz.co.uk or direct enquiries to dee@nyjc.co.uk. Grandma: Graeme Wilson (saxophones); Mark Williams (guitar). Where better a place to spend Valentine’s night than in the upstairs room of the Bridge Hotel? Clearly the Newcastle jazz crowd are just as romantic as I am because the venue was packed for the return of the Graeme Wilson Quartet. I doubt if any candlelit dinner could have competed with the fine fare that was served up by this marvellous band on Sunday night. This was the Saint Valentine’s Day Jazz Acre. 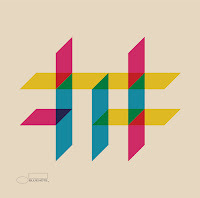 CD Review: GoGo Penguin - Man Made Object. Chris Illingworth (pno); Nick Blacka (bs); Rob Turner (dms). Penguin play Sage Gateshead on Thursday (Feb. 18) and, although I left it too late to apply for a review ticket (boo! hoo!) this CD makes up for it. One of the most original UK piano trios to appear in recent years, the Manchester band have established an identity that enables them to stand out from similar groups - if indeed there are similar groups which I doubt. 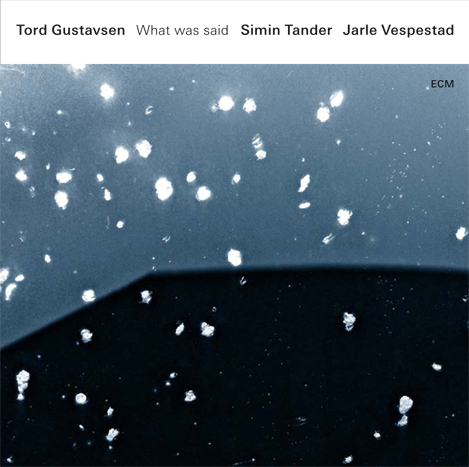 CD Review: Tord Gustavsen - What was said. Well this is Nordic jazz with a twist. 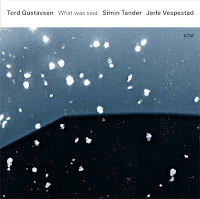 Gustavsen teams up with long-time collaborator drummer Jarl Vespestad and Afghan-German vocalist Simin Tander. The core of this album is traditional Norwegian hymns but translated into Pashto. 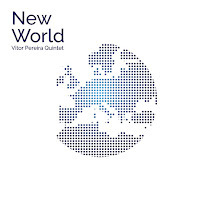 The process of which, according to Gustavsen, has given the music a far more multi faith and spiritual feel than the originals which to him are his ‘standards’. 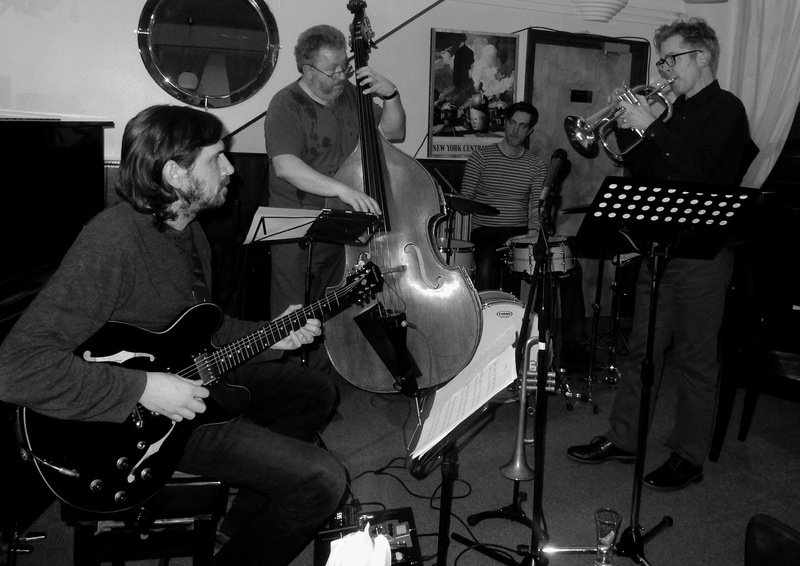 Vitor Pereira (gtr/comp); Chris Williams (alt); George Crowley (ten); Andrea Di Biase (bs); Dave Hamblett (dms). "The choice for its title emerged from the idea that we are living through turbulent times and our world is reaching a tipping point. A point where an an increasingly globalised economic system powered by unscrupulous profit orientated multinational corporations is on the verge of collapse. Societies are polarised, climate is changing, the concentration of wealth in the hands of a few is reaching record levels and our world is in need of a rebirth. Five piece Not Now Charlie built up a head of steam. Riff, hook, reggae, rock steady, go. The new ‘product’ available at the door, it made sense to play the stuff! Band tight, tenor man Jamie Toms leading from the front. Graham Hardy (tpt/vcl), Alistair Lord (tpt); David Gray, Mark Ferris (tmb); Sue Ferris (ten); Phil Rosier (tuba); Brendan Murphy (bs dm); Russ Morgan (sn dm). They were hooching, they were cooching, they were romping, they were stomping, they were dancing, they were prancing they were having a ball - and that was just the audience! The band were also getting their kicks without hitting Route 66. This was the business, gut busting solos, tight ensembles, rocket fuelled rhythm. 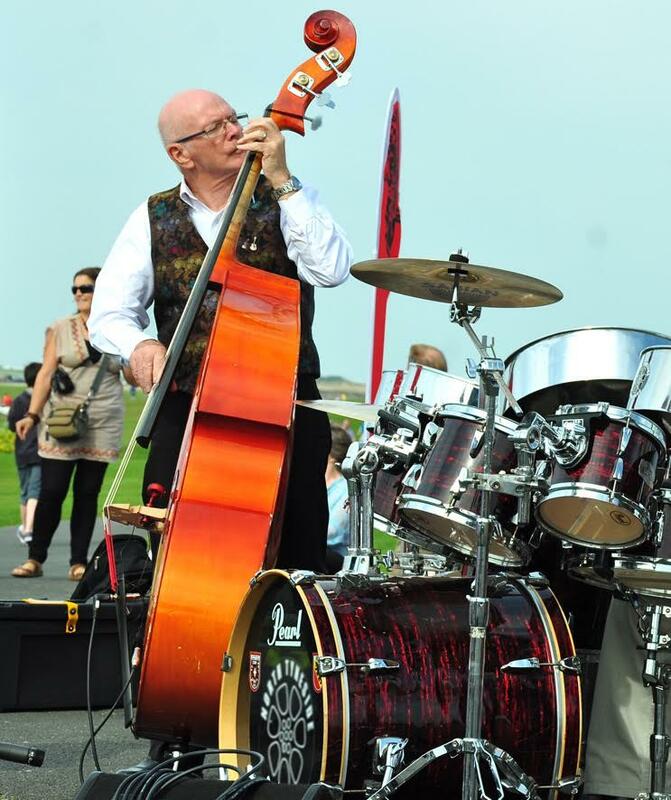 BRIAN SIBBALD, one of North Tyneside's best-known and respected bass players, passed away on Sunday 7 February 2016, aged 70 years. His love of music covered all the genres, but his real passion was for jazz, especially the classic jazz and blues of the early 20th century and the big band swing music of the 1930's - his knowledge of this music was encyclopaedic. The service and interment is at Whitley Bay Cemetery on Thursday 18th February at 10.30am. Sadly missed by his wife Shirley, daughter Rebecca, son-in-law Kevin, grandson Bobby, family and friends. 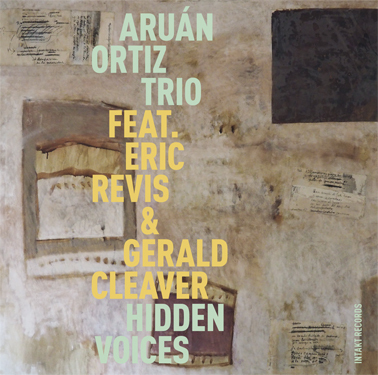 This is a new piano trio album from the Cuban born pianist, violinist composer and arranger Aruán Ortiz .joining him on bass is Eric Revis is and Gerald Cleaver drums. On the composers website there is reference to a recent project in which non musical patterns and ideas were explored as fuel for improvised music. This may explain some of the titles of the original compositions, which frequently refer to mathematical concepts. Fogies of the World Unite! Paul Bream, in his latest Jazz Alert, refers to a comment made by Bill Harper, no less!,"as Anyway how do you find good songs since the 60s as the art of good song writing died with the advent of Rock & Roll & Andrew Lloyd Webber?" Paul's comment? "As an example of cloth-eared fogeyism that takes some beating!" Bill Harper has cloth ears? Perhaps Red Rodney (pictured with Bill), Lockjaw Davis, Sweets Edison, Al Grey and countless other JNE imports would disagree after their Corner House sessions with Bill on piano! Bill and his wife Anne, now long domiciled in France, have always supported jazz and, in the days of Chris Yates, Jazz North East. Suddenly, fogey doesn't seem such a bad title! 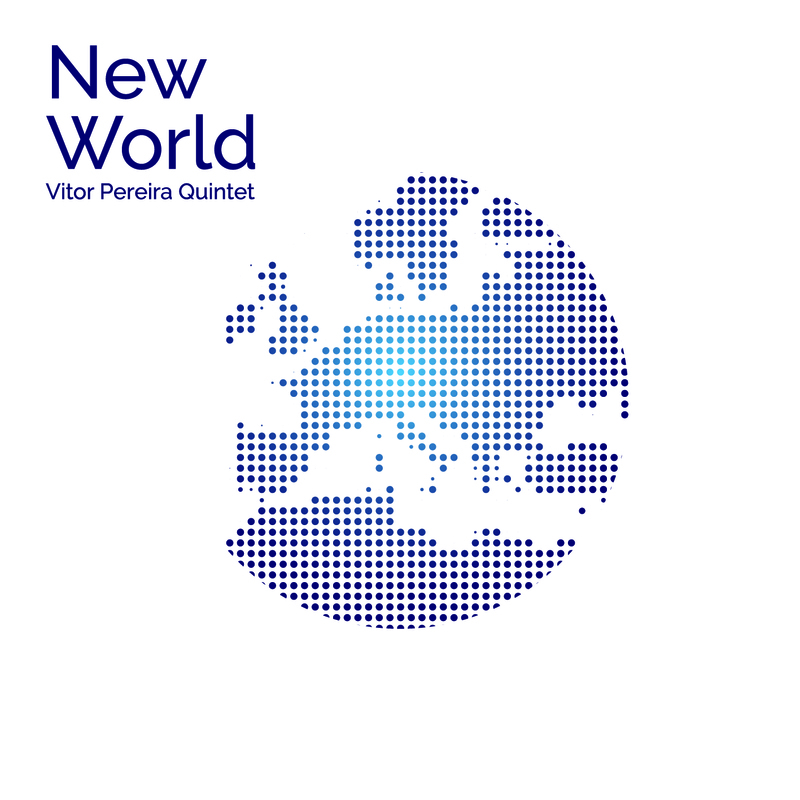 Mike Hobart Quintet - Evidential. Bruce Torff: Down the Line. 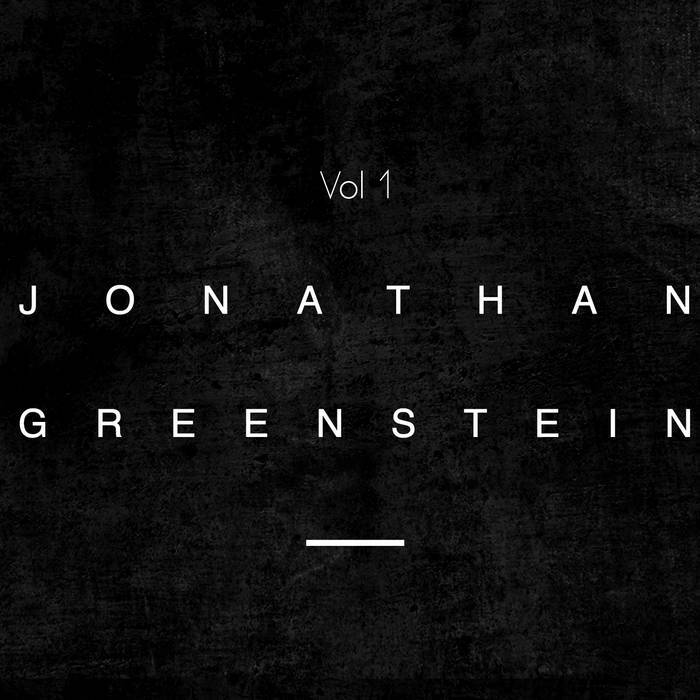 Jonathan Greenstein - Vol 1. 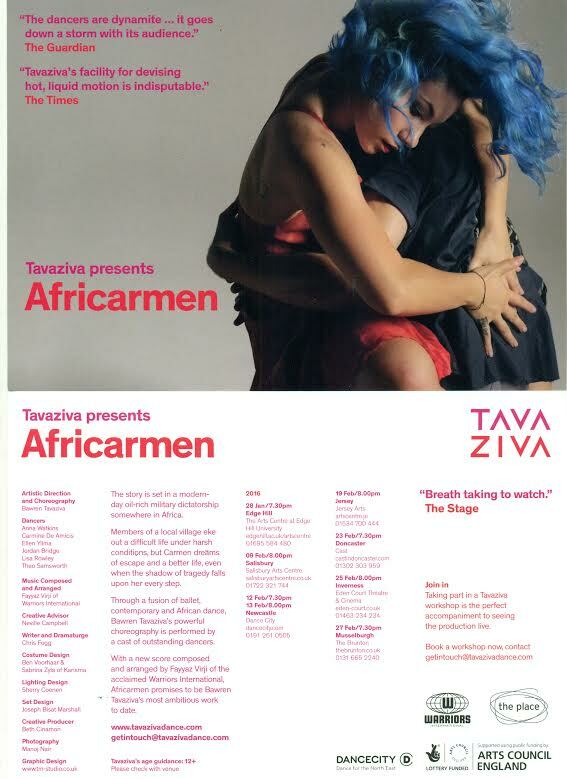 Bawren Tavaziva’s Africarmen is on tour, next stop Newcastle. Artistic Director and Choreographer Tavaziva’s dance creation is of interest to Bebop Spoken Here due to the involvement of Jazz Warriors’ co-founder Fayyaz Virgi. This touring production should be of interest regardless, but the trombonist’s jazz credentials are the obvious attraction. Daniel John Martin (vln/vcl); Mick Shoulder (gtr); Giles Strong (gtr); Paul Edis (clt); Paul Susans (bs). (Review by Lance/Photo courtesy of Mike Tilley). The room was crowded and justifiably so although one or two kept their coats and mufflers on! These days I think that Gipsy Jazz has taken over the role once occupied by Trad Jazz in the eye of the public inasmuch as it's foot tapping and not too demanding on the ear. Mick Shoulder's Swing Manouche. 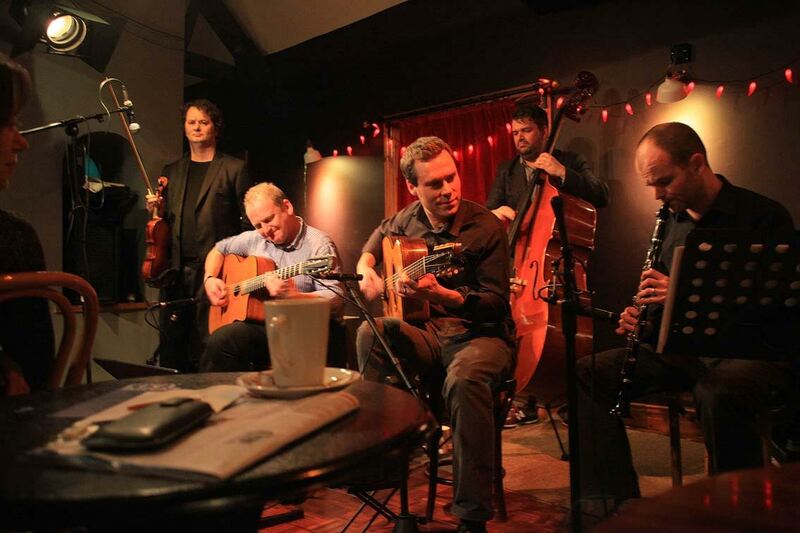 which developed from his equally appealing Djangologie, took on a new dimension last night with the addition of French violinist and occasional vocalist (and whistler) Daniel John Martin. Martin is quite unique. 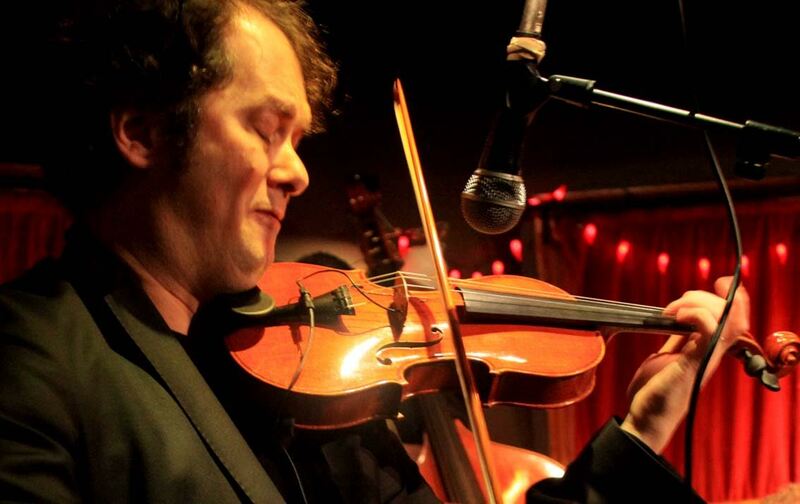 Unlike most hot club fiddlers he doesn't follow the Grappelli route instead he's very much his own homme. If there are any outside influences, and I say if advisedly, then perhaps it's another Frenchman - Jean-Luc Ponty. Indigo voices are Ann Alexander, Jen Errington, Minnie Fraser, Jenny Lingham, Carrie McCullock. (Our only male singer, Barry Keating, is on holiday just now) We perform every 2 months at the Globe, and if you miss us on Friday, you’ll miss a treat. 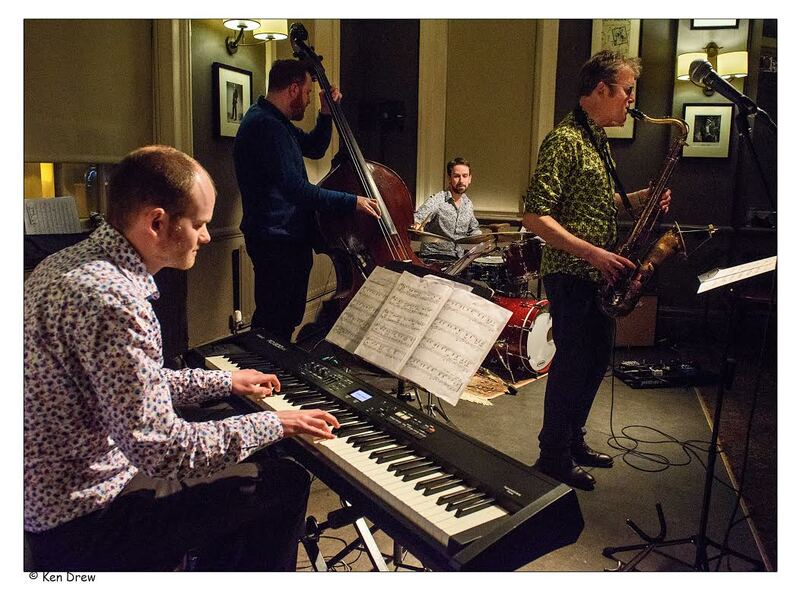 We sing a varied, lively selection of jazz, swing, blues and bossa, accompanied by the hugely talented Alan Law on piano, whom many readers will have heard in other bands such as the Safe Sextet and Havana Club 5. So be there for a 7.30pm start, and what’s more, it’s free entry. Why miss out? George Burt: Guitar, Andy Champion: Bass, Corey Mwamba: Vibes. This was improvisation at its most improvised. Three consummate musicians, mutually inspired, produced two fascinating sets, although to be honest, I didn’t recognise any of the tunes. Corey Mwamba seems to play the Vibes like nobody else I’ve ever seen. Besides using various combinations of mallets he extracts sound using his hands, fingers, a bit of rope and even his breath. 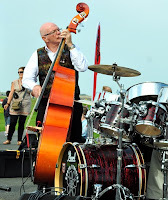 Not to be outdone Champion the Wonder Bass employed the bow and a mallet on his double bass to great effect. Burt also has an unusual instrumental style seeming to hit the guitar strings rather than strum them. What amazes me as a non-musician was how quickly the guys were able to pick up what their fellow band mates were doing. They were then each able to empathise, improvise and augment what was going on. Absolutely fascinating and not only did the good sized audience seem to thoroughly enjoy it but the trio also seemed to revel in their creative comradeship. It may not be Bebop but it was certainly tiptop. 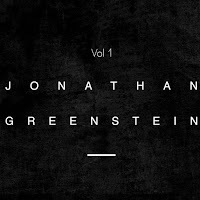 CD Review: Avishai Cohen - Into the Silence. CD Review: Ira Hill - Tomorrow. Havana Club 5 Turn Them Away! Dexter Gordon @ University Theatre - Info sought. The Lowdown on [Kathryn] Lowdon. Durham Jazz Festival at Ushaw!